The adventures of 2 brothers starting out in the fishing and hunting lodge business. 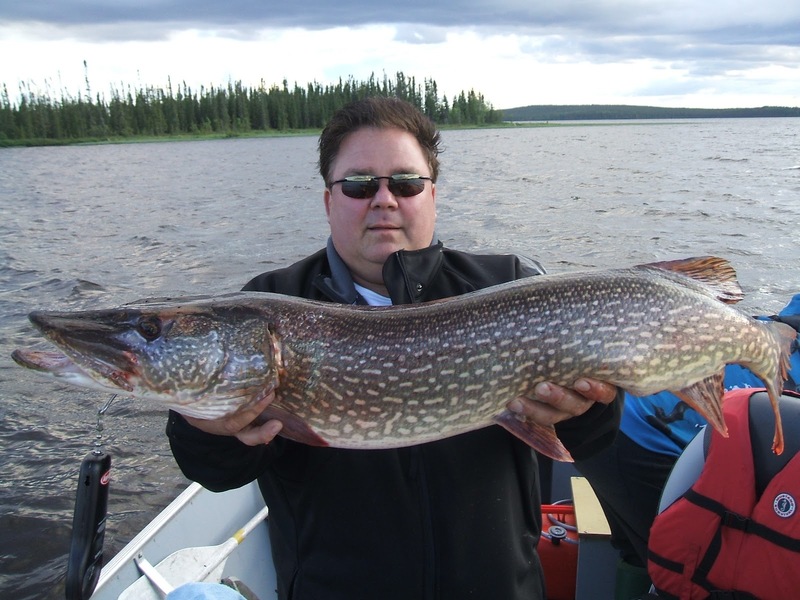 Visit us at Lloyd Lake Lodge in northern Saskatchewan. Lloyd Lake has always produced great northern pike. So have our other lakes. 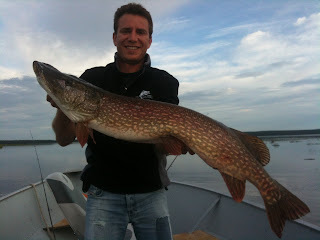 In fact, you can catch pike in any of the 4 lakes we have on offer. 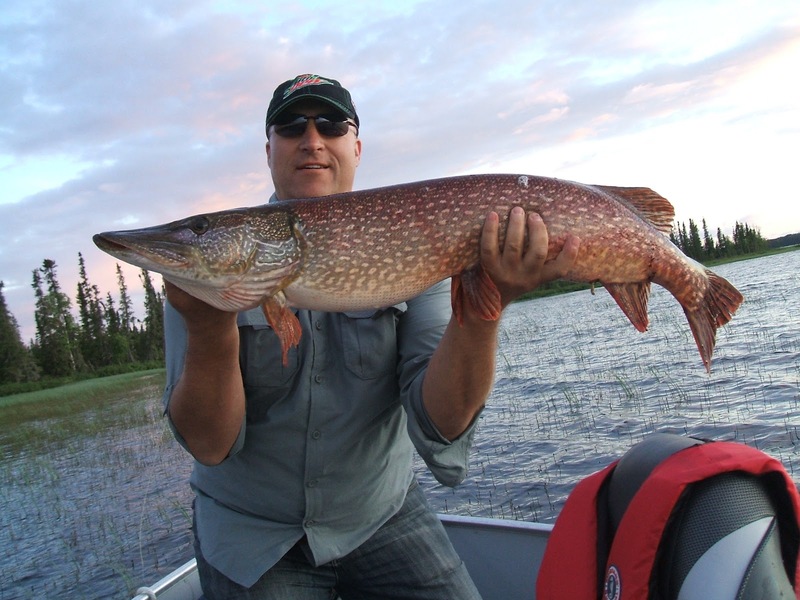 There are lots of them in the 5 to 25 lb range, and they're aggressive once you have 'em hooked. This past season, none of the boats fishing for pike ever came home without having caught at least one decent pike. Here are 5 great sharks we saw in our 2012 season. Tight lines! The first beauty of the season. Caught by our very first guest at the end of May. 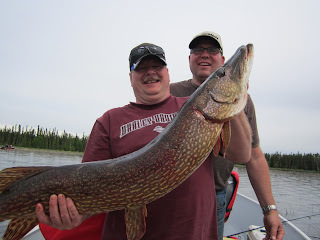 One of the beautiful pike this group caught on an afternoon in early June on Lloyd Lake. Trevor's first hour of his first evening. Caught on the fly. 20 lbs or so. One of the season's beauties, caught on Preston Lake. 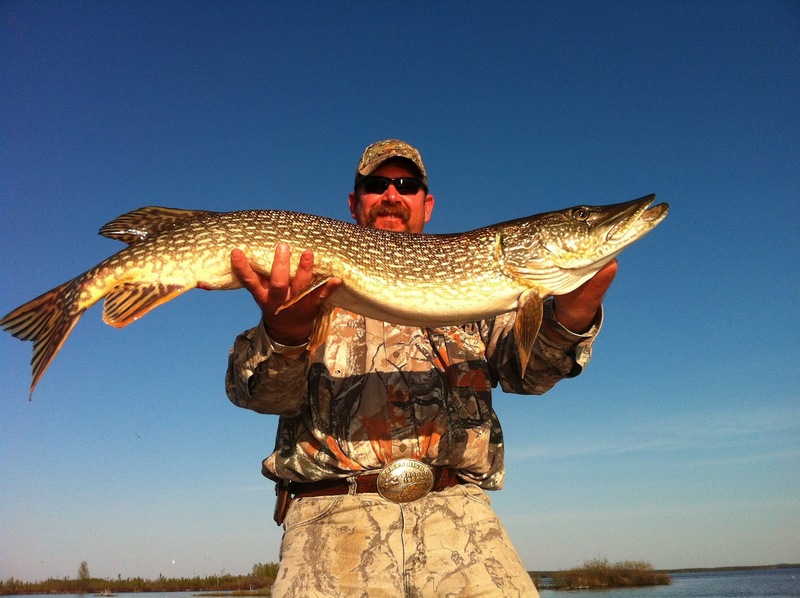 Although he's usually fishing for walleye, Derrick occasionally hooks up with a nice pike too. We are Desi and Derrick Uniat, two of the closest brothers you'll ever meet. When we were 5, our grandfather shared an amazing place with us—Lloyd Lake. We’ve dreamed of owning the lodge ever since. During childhood summers on the water, we learned about life from grandpa and nature from our guides. On September 30, 2011, we bought Lloyd Lake Lodge. Grandpa passed away 5 days before we made the deal…life has a funny way of sneaking up on you when you think everything is okay, and of helping you out when you think everything’s gone wrong. We’ve dreamed a pretty big dream, and now it’s in our hands to make it come true. Follow along on our journey as we put the lodge to rights and finally give it the respect it deserves. Time to get our feet wet! © 2012 Lloyd Lake Lodge. All Rights Reserved. Travel theme. Powered by Blogger.